The one thing you know about Draper tools is that they are always going to be highly competitive wen it comes to price. They really do strive to make those expensive power tools you need around the home, affordable for most people. They have achieved that with this Draper Expert 03293 18-Volt Cordless model. the fact that lots of people have bought this is always a good sign. The fact that every buyer has left a 5 star review is simply amazing. If you can find better value for £70 which includes the battery, then let me know. This is I think one of the best deals on the market right now. Value for Money - This was a very clear deciding factor for many people. Much as they may have liked a top of the range Dewalt, they are expensive. This Draper model, made for the trade, does an excellent job, and for £70 is really hard to beat. ​Bevel Adjustments - the sole plate is easy to adjust as and when you need an angled cut. 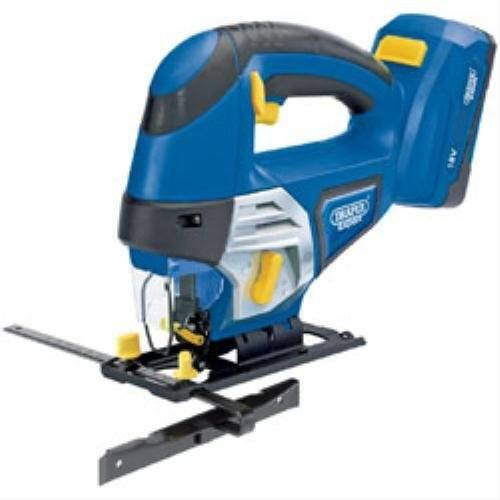 This is a good quality and affordable cordless jigsaw.